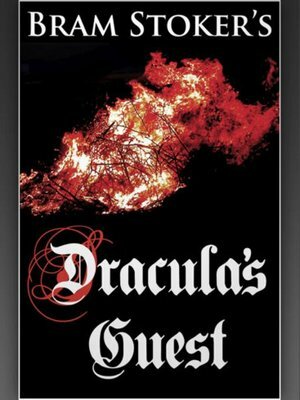 "Dracula's Guest" follows an Englishman (whose name is never mentioned but is presumed to be Jonathan Harker) on a visit to Munich before leaving for Transylvania. It is Walpurgis Night, and in spite of the hotelier's warning to not be late back, the young man later leaves his carriage and wanders toward the direction of an abandoned "unholy" village. As the carriage departs with the frightened and superstitious driver, a tall and thin stranger scares the horses at the crest of a hill. Upon reaching a desolate valley after a few hours, it begins to snow and as a dark storm gathers intensity, the Englishman takes shelter in a grove of cypress and yew trees. The Englishman's location is soon illuminated by moonlight to be a cemetery, and he finds himself before a marble tomb with a large iron stake driven through the roof, the inscription reads: Countess Dolingen of Gratz / in Styria / sought and found death / 1801. Inscribed on the back of the tomb "graven in great Russian letters" is: The dead travel fast. The Englishman is disturbed to be in such a place on such a night and as the storm breaks anew, he is forced by hail to shelter in the doorway of the tomb. As the Englishman avoids the pelting hail, the bronze door of the tomb opens under his weight and a flash of forked lightning shows the interior - and a "beautiful woman with rounded cheeks and red lips, seemingly sleeping on a bier". The force of the following thunder peal throws the Englishman from the doorway (experienced as "being grasped as by the hand of a giant") as another lightning bolt strikes the iron spike, destroying the tomb and the now screaming woman inside.